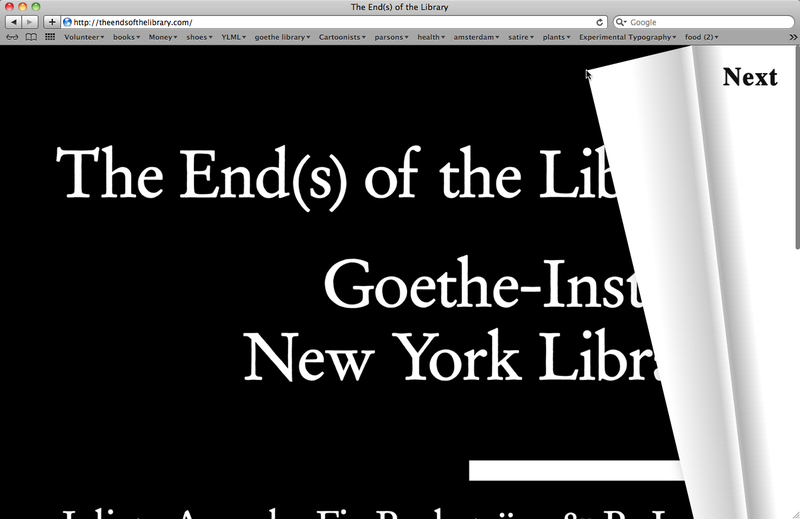 a spatial identity, exhibition identity and website for an exhibition at the goethe-institut new york library (in collaboration with geoff han). 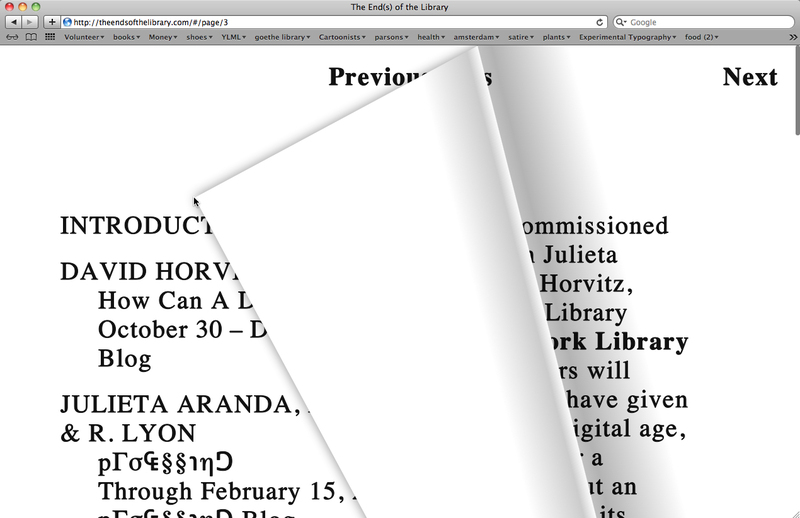 1 – home page for the end(s) of the library. 2 – contents page for the end(s) of the library. 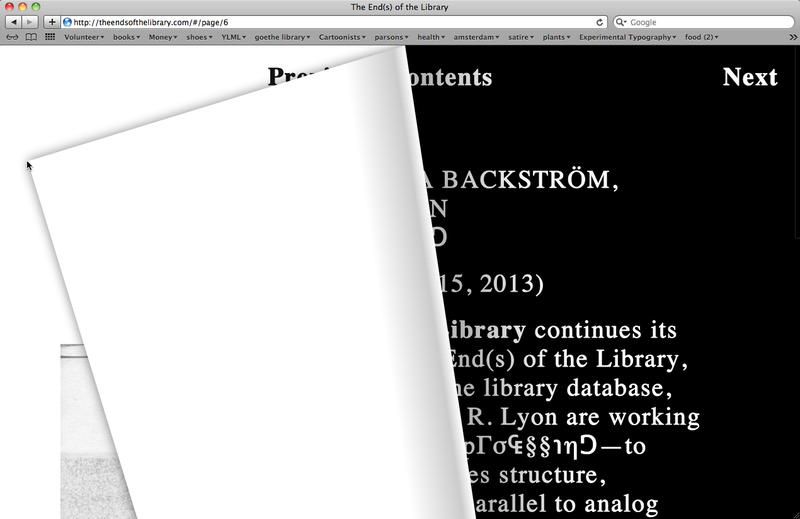 3 – artist page for the end(s) of the library. 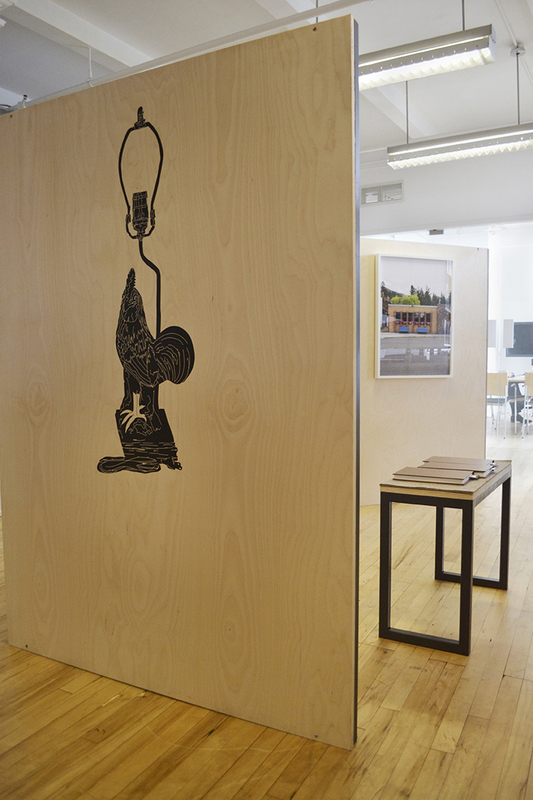 4 – artist page for the end(s) of the library. 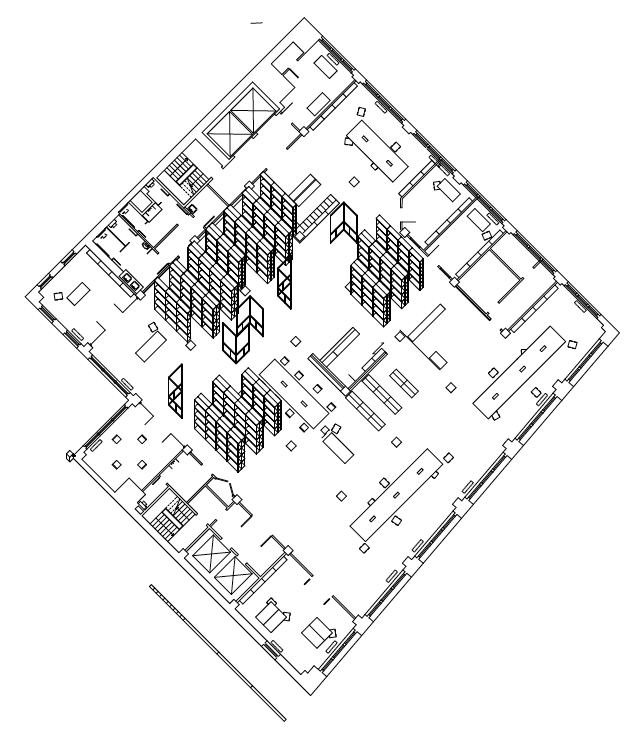 5 – axonometric floor plan with initial frame layout. 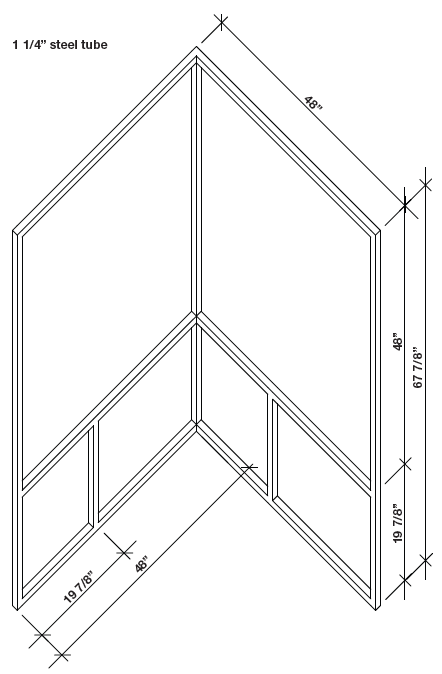 6 – axonometric drawing of frame. 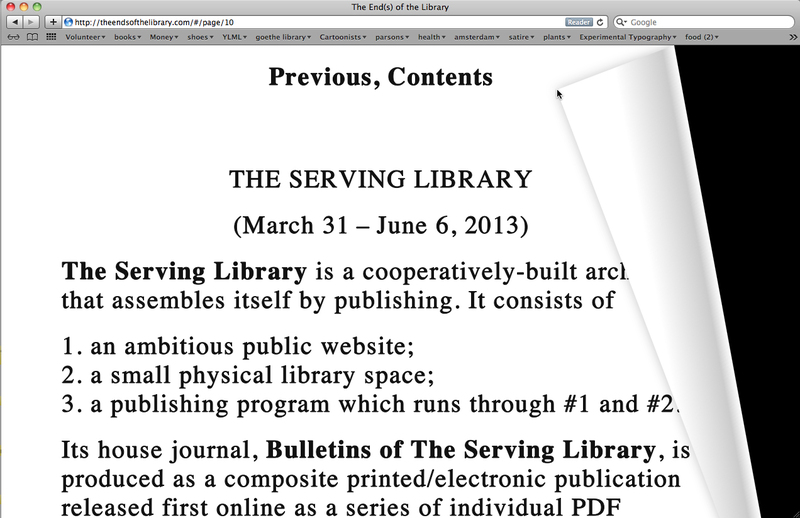 8 – the serving library. 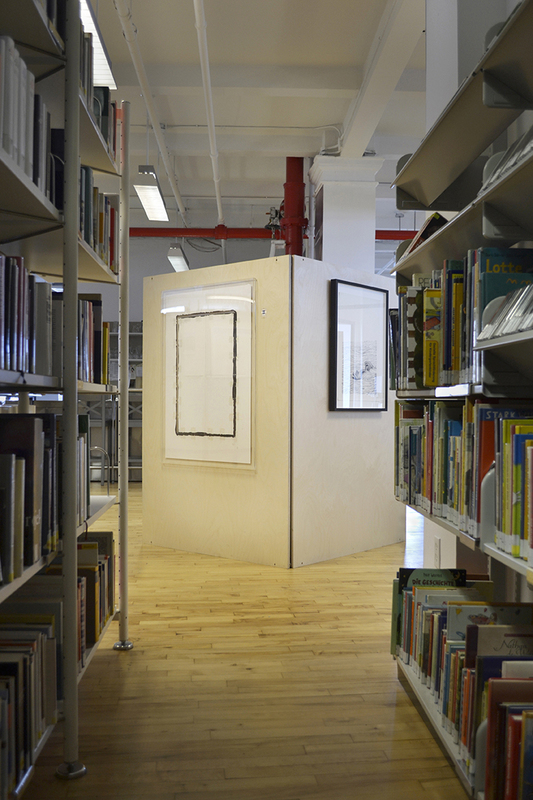 10 – the serving library.